Please bring your donated raffle items to ASC - 4th Saturday in April, 2017. This event benefits Hospitals & Institutions committee to help buy books and literature for to bring into the jails and other institutions where meetings are held. 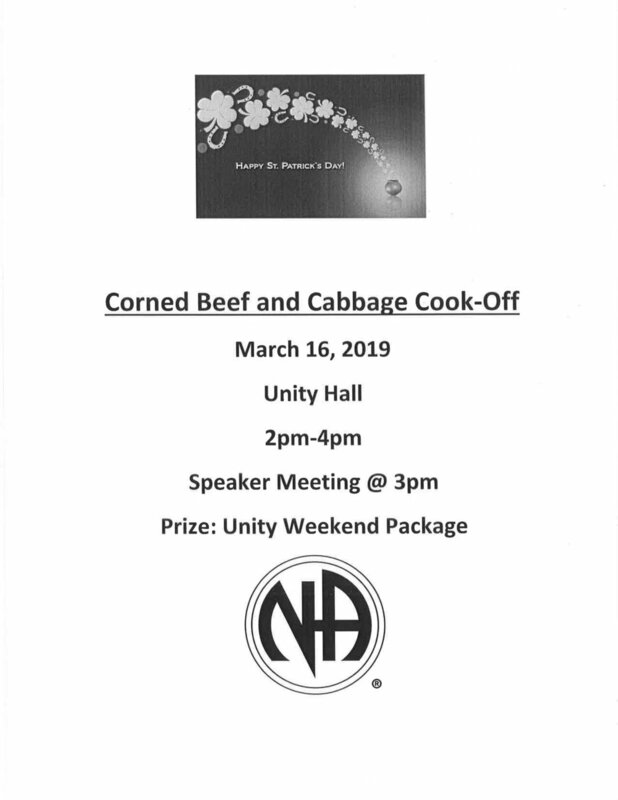 Three Speakers, Raffle, Lunch and beverage provided - bring a pot luck item. 19th Annual Women's Retreat hosted by the Sisters in Serenity Group. Speaker Meeting, Bring Potluck Side Dish - BBQ Meat and drinks provided. Suggested Donation - $5 adults, children $3. Dogs okay if leashed.